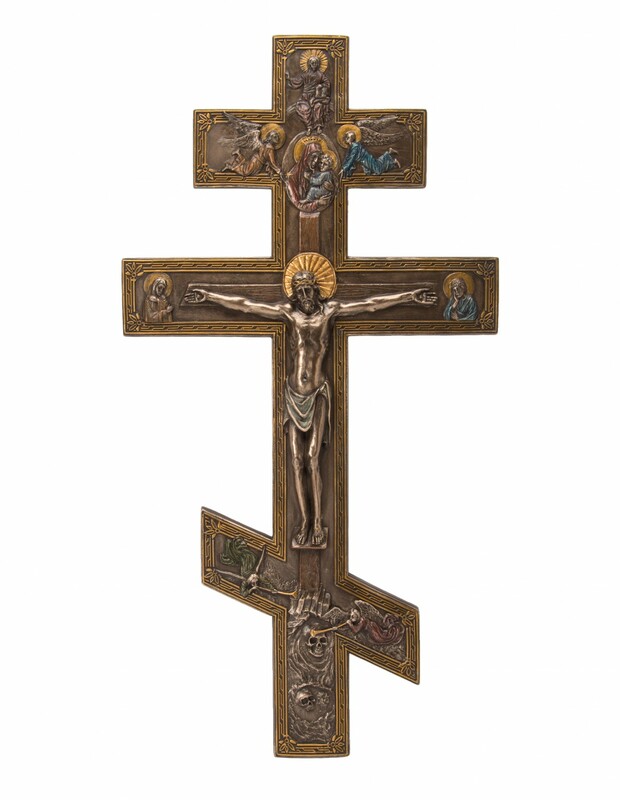 A truly amazing crucifix with Jesus’ raised bas-relief body on a Byzantine style cross. 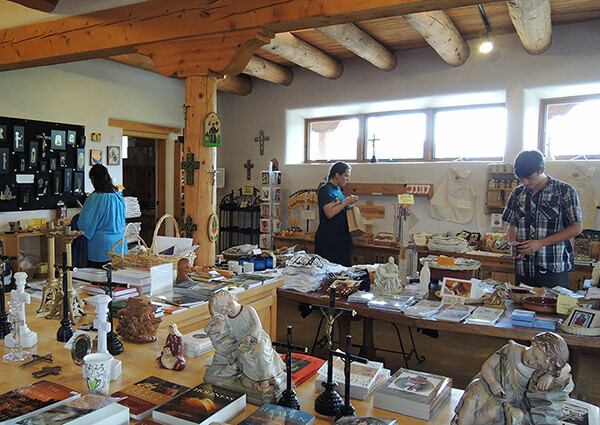 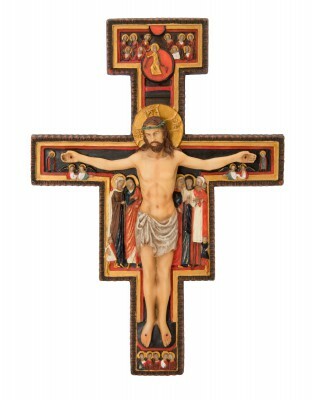 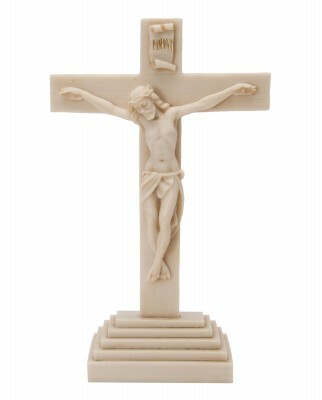 The solid resin of this crucifix is bronze in color but to add depth, attractiveness, and interest, the many figures are lightly hand-painted. 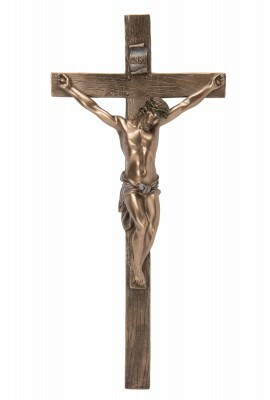 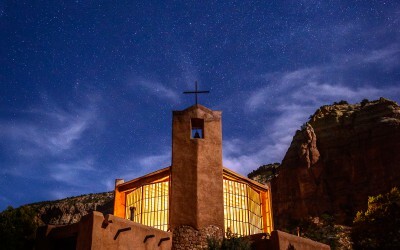 There are raised images of Mary and the Child Jesus, of the Heavenly Father, of angels, of Mary and St. John present at the foot of the cross when Jesus was crucified, and even at the bottom, of skulls symbolizing hell that Jesus will harrow to retrieve souls there after his death on the cross. 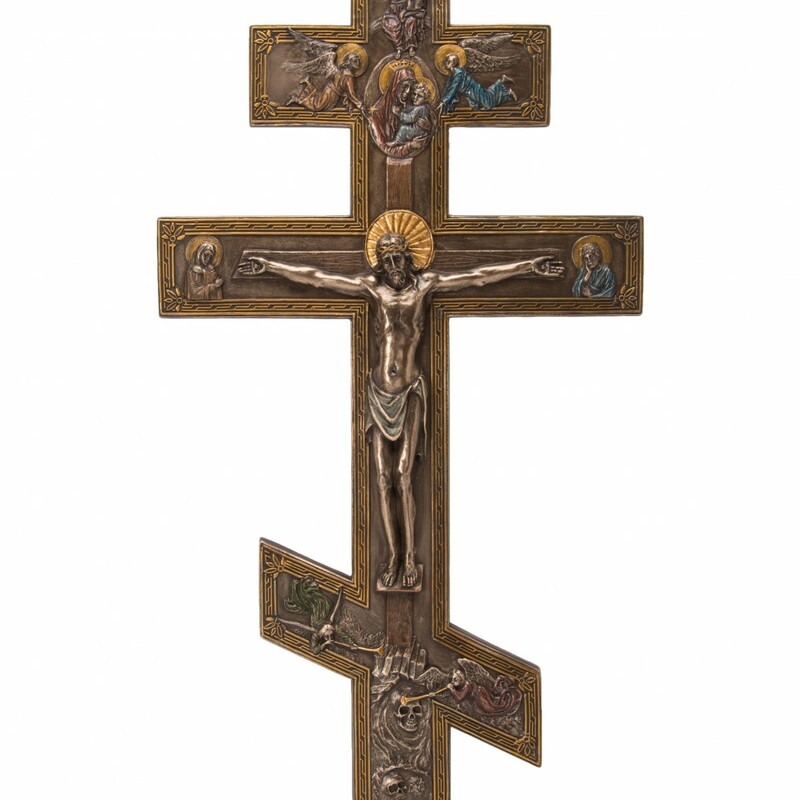 It is a great devotional crucifix and would be a splendid gift for those who favor Byzantine style religious art objects as well as being a most special crucifix to hang on a wall by its mounted hook in your home or personal prayer space.